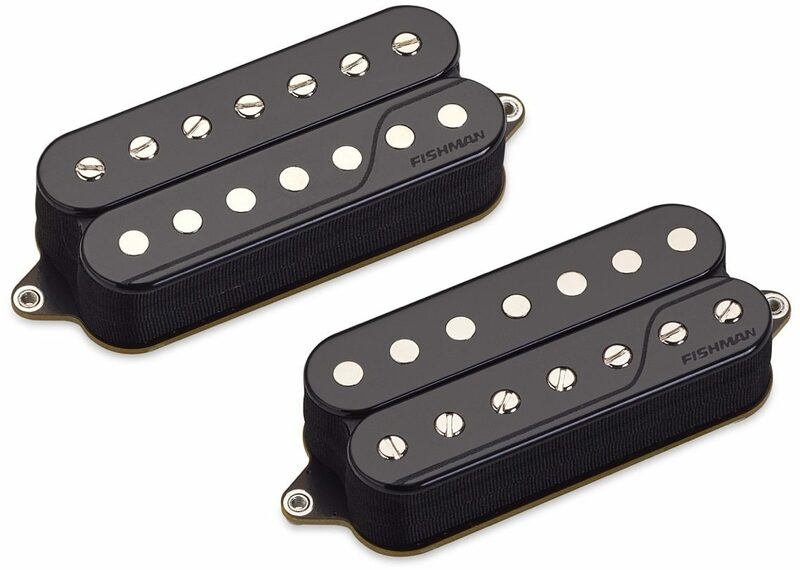 The Fishman Open Core Fluence Classic Humbucker 7-String Electric Guitar Pickups are now available in the popular uncovered humbucker look. They will also incorporate a new 3rd voice – Single Coil. Wound humbuckers, when “split” to create a single coil sound, can be weak and unconvincing. The new Voice 3 is a truly authentic single coil tone that only Fluence technology can deliver. - Multi-Voice. Set and forget, or wire-up to toggle between two musically complimentary voices. - Drop right in and replace standard humbucker pickups. - Rechargeable on your guitar. Optional lithium-ion battery pack offers weeks, not hours, of playing time. - Voice 1 – Vintage P.A.F. – The ideal, elusive P.A.F. neck tone with the dynamics and output level you want. - Voice 2 – Clear, airy chime — A Fluence-exclusive neck tone, with unreal highs, vocal midrange, and tight lows. - Voice 1 – Vintage P.A.F. — The ideal, calibrated vintage PAF bridge humbucker tone at the perfect output level. - Voice 2 – Classic Hot Rod — The quintessential hot rodded bridge humbucker tone without all the baggage.